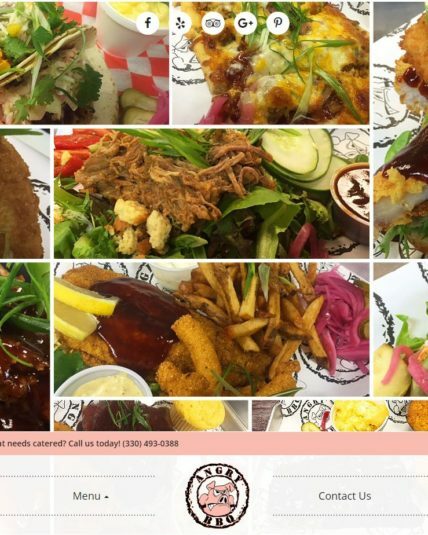 COSO Media launched a new website for Angry Barbeque. 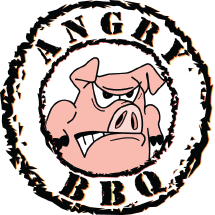 Angry Barbeque is an independently owned and operated barbecue restaurant located in Canton, Ohio. Angry Barbeque provides only All-Natural meats and quality fresh produce that is artfully prepared by their trained and experienced kitchen staff. They are the 'Taste of Stark County' winner of 2017. 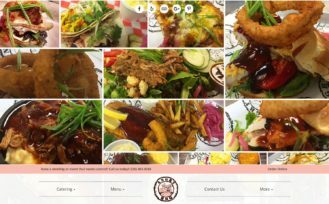 Since Angry Barbeque is locally owned, it was important for their restaurant to establish an online presence that allows them to compete with the large chain restaurants and educate customers on the quality food and service they provide. The main goal of this website was to showcase their mouth-watering barbecue menu items in an aesthetically appealing way while making their catering and dine-in/out menus easily accessible. We also created a photo gallery, blog, and "Did you know?" section to allow users to learn more about Angry Barbeque's culture and what they can expect walking into their restaurant. COSO Media worked with Angry Barbeque in implementing an Online Ordering system that works seamlessly with their pre-existing in-store system and integrated this into the website we built. Angry Barbeque customers can now use this new Online Ordering system to place their order and pick up in-store. 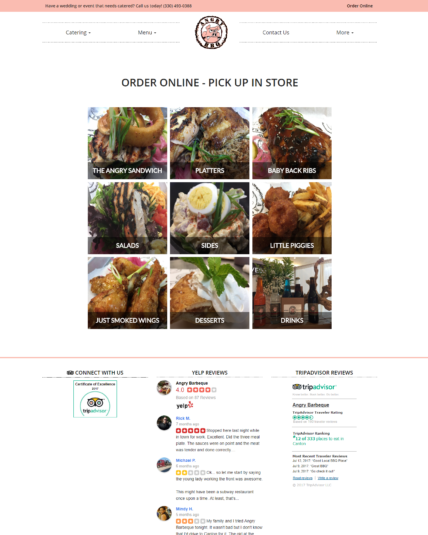 In developing new ways to expand their digital marketing reach, we felt creating an online ordering system was necessary. 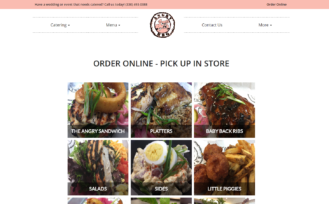 We set up Angry Barbeque with the ability to link their current in-store ordering system with their new online ordering system. Any updates made to their in-store system automatically updates their website. Our team provided them an easy platform to use so they could focus on running their business while having a smooth, user-friendly online ordering system they can rely on.